There are plenty of fine films about the food system, and what’s wrong with it in America. But there aren’t many films that look internationally, fewer still that focus on solutions, and none that do so through compelling characters and storytelling. We want to fill that void. We have found four stories in Peru, Malawi, India and California that span the arc of the food system, from field to fork, with characters fighting for their dignity, their culture, their dreams and sometimes their lives. To make the documentary work, the stories will need to fit together, pulled by thread that can bind the inspirational examples up and down the food system. Beyond being about food, what our stories share is their characters’ struggle to shape their and their children’s, destiny. In Peru… 25 year-old Fredy Flores Machaca is grounded in the wisdom he’s been given by his elders, growing up in a remote and traditional farming community in the Andes. Today, he is helping his community navigate the embrace of modernity on their own terms, while resisting the overtures from agribusiness which covets the seeds his ancestors have guarded for centuries. In Malawi… climate change and poverty have made farming and feeding families an even more challenging proposition. But in the northern village of Bwabwa, Anita Chitayah has become a dynamo and leader. She’s saved her marriage and her farm by becoming part of a fledgling movement that is pushing for gender equality coupled with new farming practices. Now she’s mentoring others on what could be a key to survival and prosperity. In India… a former food activist believes that Pepsico can be both profitable and socially responsible, creating healthy soft drinks and snacks. An Indian activist, Sunita Narain, sees it differently: India is in the midst of an obesity and diabetes epidemic that rivals what ‘s happened in the United States. It is a battle between India’s next generation and the next generation of giant food corporations. In America… Brahm Ahmadi was born in Iran, grew up on a farm in Iowa, joined a gang in Los Angeles, and is now a food activist in Oakland, California. His quest to bring a community grocery to this urban food desert has come down to rethinking economics and ownership in a completely new way. All of our stories feature trailblazers – people who are looking towards the future without throwing out the past. Collectively, these are stories of how people, communities, even nations manage change – whether to embrace it or resist it or a bit of both –they try to shape their lives and those of future generations. 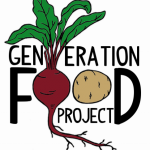 Ultimately, GENERATION FOOD hopes to paint a sweeping yet intimate portrait of what needs to change in our food system, and how some people, in unlikely places with surprising ingenuity, are doing it. Steve James (Director) is best known for directing Hoop Dreams, winner of every major critics prize including a Peabody and Robert F. Kennedy Award. His most recent film exhibited at Sundance is “Life Itself”, featuring the celebrated film critic Robert Ebert. Other films include festival winner Stevie, which landed on a dozen year-end ten best lists; the acclaimed miniseries The New Americans; At the Death House Door, which won numerous festival awards and was James’ fourth film short-listed for an Academy Award; No Crossover: The Trial of Allen Iverson for ESPN’s Peabody winning “30 for 30” series; and The Interrupters, James’ fifth film to premiere at Sundance, winner of the Independent Spirit Award, the two top Cinema Eye Awards and numerous festival prizes. It was the top documentary in the end of the year national critics’ polls for both IndieWire and the Village Voice. Raj Patel (Writer) is an award-winning author and activist, who has worked at the World Bank and the World Trade Organization and has protested against them on four continents. He is affiliated with UC Berkeley’s Center for African Studies, the School of Development Studies at the University of KwaZulu-Natal in South Africa, and the Institute for Food and Development Policy, also known as Food First. He is also an IATP Food and Community Fellow, at Utne Reader Visionary and has testified to the US Congress on the causes of the global food crisis. He is the author of the international bestseller The Value of Nothing: How to Reshape Market Society and Redefine Democracy, and the critically acclaimed guide to the food system Stuffed and Starved. Rachel Wexler (UK Producer) set up Bungalow Town Productions in the UK with her partner Jez Lewis in 2004. Bungalow Town specialises in producing international feature documentaries for a worldwide audience. Rachel has produced many acclaimed films including: The English Surgeon, Guilty Pleasures, All White in Barking, Shed your Tears and Walk Away, Out of the Ashes, Garbage Warrior and My Perestroika. She has produced films with support from broadcasters and funders around the world including: ITVS International, BBC Storyville, POV, Sundance Institute, Ford Foundation, More4 True Stories, Sundance Channel, Britdoc Foundation, and the UK Film Council. Films that Rachel has produced have been screened at prestigious film festivals including Sundance, Cannes and London and have won many awards including a Grierson award for Out of the Ashes in 2011 and an Emmy for The English Surgeon in 2010. Cynthia Kane (US Producer) created gbgg productions with her sister in 2010 with the mission to produce social issue fiction and documentary film. In January 2007, Kane moved cross-continent to work as Senior Programming Manager for ITVS (Independent Television Service) overseeing the International Initiative for funding and Open Call funding for US filmmakers. ITVS International promotes an international exchange of documentary films made by independent producers, bringing international voices to U.S. audiences and stories from the U.S. to audiences abroad. ITVS International has co-produced 138 international documentaries since its inception in 2005, including the multi-award winning Last Train Home, The English Surgeon, Stranded and Waltz With Bashir. Prior she’s had many incarnations from actor to writer to producer. Kane co-created DOCday on Sundance Channel during her 10-year tenure there. Today, she has a senior role in commissioning in Al Jazeera America television.